There are not many women who have been in the VIEW Club for as many years as Lorraine Goldsmith. Lorraine has been a member for 40 of the 48 years that the VIEW Clubs have been in existence. Lorraine has been a member of a number of VIEW Clubs in Sydney serving on committees and previously serving as as Zone Councillor and National Councillor. 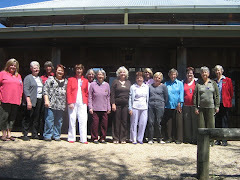 She is still an active member of two clubs, and has the role of secretary of the Lake George Day VIEW Club and member of the Bungendore Evening VIEW Club. 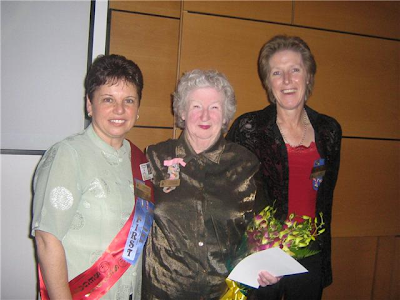 At the Gala held in Ainslie Lorraine was honoured with a 40 year badge presented by past National President Barbara Murray and Singapore orchids.